short girl, long island. 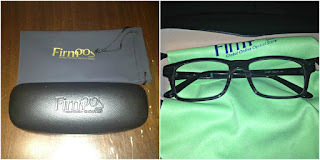 : Fashionable Frames for Free = Firmoo! Last month, I was contacted by Firmoo to see if I'd like to give their product a test run. At first, I had no clue what they were all about, but upon clicking the link to Firmoo.com, I realized that this was a site that sells glasses for reasonable prices, cutting out the middleman [eye doctor's office showroom with fancypants frames that cost more than you'd like to admit]. Since I've been wearing glasses since I'm three [which is 90% of my life], I'm used to the dog + pony show. 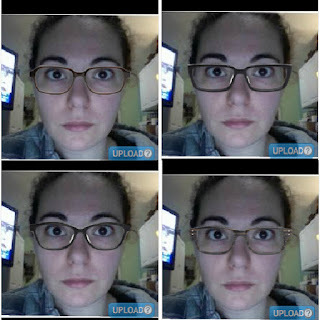 I am also that girl who tries on twenty different frames + gets that look from the tech. With Firmoo, I could try on as many frames as I wished with their Virtual Try-On System, without having to deal with a pushy salesperson. PLUS I had my glasses on while looking at the frames, which helps loads since I have a tricky prescription. 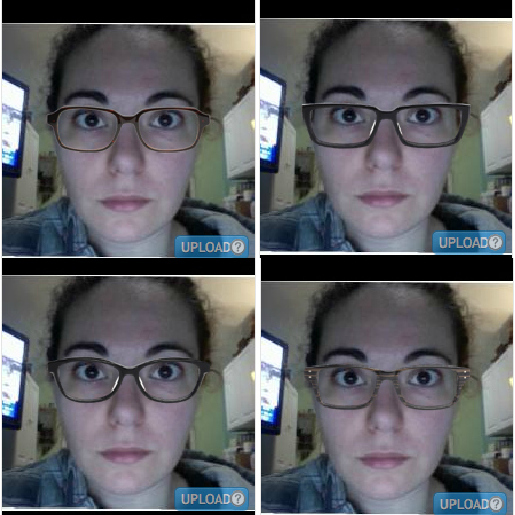 So, for about an hour, I virtually tried on frames. Here are the four I narrowed it down to. Note: I tried to keep a straight face while taking the picture without my glasses for the Virtual Try-On, to see how the shape would fare with my face. Sorry if I look weird, ha! 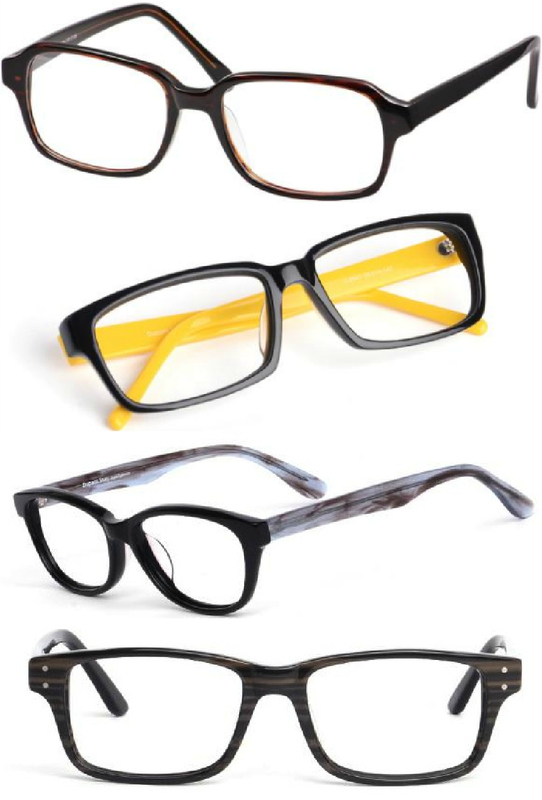 I decided to get the dark woodgrain frames [bottom right]. Seeing as the glasses were free, thanks to the first pair free program, I wasn't sure how long it would take to ship them, due to my pesky prescription. A few days later, I got an email stating that my frames were ready to ship. Ten days later, a padded envelope arrived with my frames! As I opened the package, I noticed that there were two cases included - one hard + one soft. An eyeglass screwdriver + extra screws were also included, which is always great to have on hand. A fun, green soft cloth with the Firmoo logo was also in the hard case. Before I tried them on, I was nervous that the prescription would be off. I don't know how many times I've had to go back to the optometrist to have them fix my lenses or the frames. Its super frustrating + its the reason why I only go there when necessary. Granted, Firmoo offers free exchanges + returns, so I had nothing to lose. 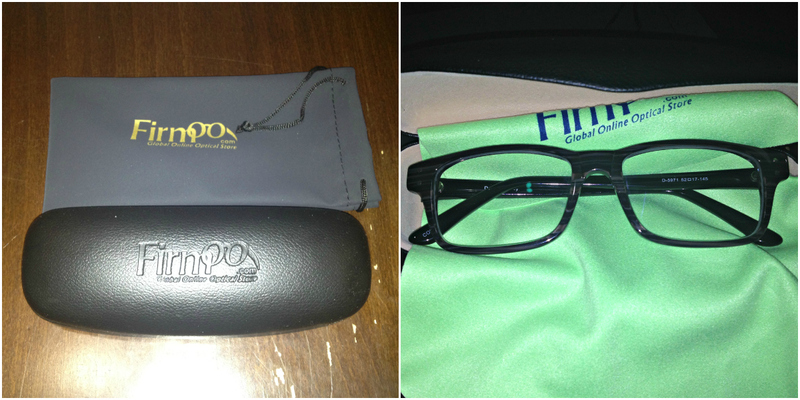 When I put my new glasses on, I was amazed - prescription was perfect + they look fantastic! I've been wearing them non-stop since Thursday + have even shelved my beloved red Fendi frames [yes, I love them that much] I didn't even get that pesky headache I always get with new glasses - it was a miracle. I don't think I'll ever buy frames in-store again. The frames Firmoo offers are reasonably priced + fashionable, plus they also have sunglasses [yes, I already have my eye on a few]. If you have more questions regarding Firmoo's policies, the company itself or frequently asked questions, make sure to swing by the Help Center page - it has lots of useful links which answered many of my questions. Or, shoot me an email + ask away! As I mentioned above, I received the frames free via the first pair free program, but this did not sway my opinion in any way, shape or form. Thanks for sharing this company! I am going to make JF do this...he always talks about wanting Rx sunglasses. I recently paid $500 for glasses!! I should have looked around online before doing so...ugh. I love the pair you picked! Enter to a Target Gift Card! Go to your eye doctor + ask them for a copy of your prescription! I go every two years, that way I get more wear out of my glasses. Worth it for a spare pair!